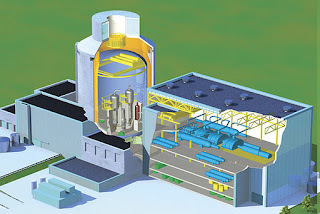 Toshiba Corporation's Westinghouse Electric Company received endorsement from 2 of 5 members of the U.S. Nuclear Regulatory Commission (NRC) for its AP-1000 nuclear reactor design. The positions of the three other commissioners have not yet been made public. Chairman Gregory Jaczko's vote was good news for backers of the new nuclear reactors. Power companies need approval for a reactor's design before they can secure a license to operate a plant using that reactor.